Sacrificial Animals' Meat for the Deserving. 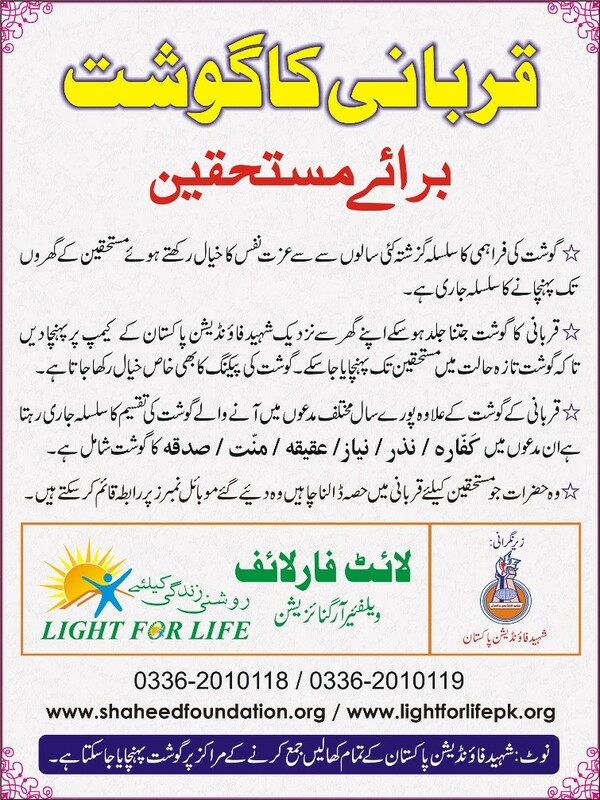 Light for Life (Welfare Organization) under the management of Shaheed Foundation Pakistan plans to distribute sacrificial meat to the deserving families of fellow Pakistanis in a dignified manner on the eve of Eid ul Adha. For last many years this activity has been appreciated very much by momineen as every year this project is undertaken by Shaheed Foundation Pakistan for the welfare of deserving . Momineen are requested to please deliver sacrificial meat as soon as possible at the nearest camp. So that fresh meat will be delivered to deserving families. 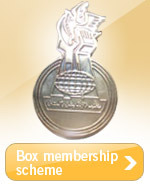 Each year meat in excess of thousand kilogram is distributed this way . The workers painstakingly packing the meat before distribution for making it presentable. Besides, sacrifice meat, meat for kafara/nazr/niaz/aqiqa/manat/sadqa is also received throughout the year and distributed the same to deserving persons on immediate basis. Momineen, who would like to participate by in sacrificial meat activity, please contact following Mobile Nos.